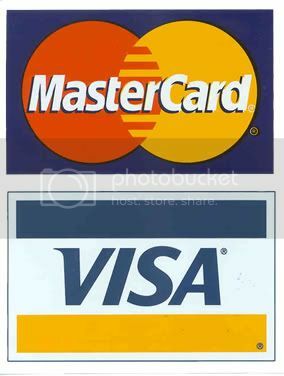 What Do You Think About New Rules for Credit Cards? In order to ensure the usage of credit card is at a manageable level, the minimum annual income requirements for credit card eligibility has been raised from RM18,000 per annum (RM1,500 per month) to RM24,000 per annum (which is RM2,000 per month). Besides that, those who is earning RM3,000 per month or RM36,000 per annum and less can only hold 2 credit cards from a maximum of 2 issuing bank. Do you want a short term Loan with 0% interest charge? You can do a balance transfer with CIMB Direct Access. CIMB Direct Access has been offering 0% interest on balance transfer for 6 months period. Bear in mind that the balance transfer is truly 0% and there’s no upfront fees, processing & admin fees, admin fees and etc. As everybody known, once you’ve applied credit card in Malaysia then you will be charged RM50 government service tax. It’s inevitable. For me, it’s annoying and always need to scratch my head whether it’s worth to sign or not. Recently, i think out some good ideas how to get back your money – RM50. After studying the procedures and gathering some latest information, i found that CIMB have another promotion which is called CIMB Prime Plan. CIMB Prime Plan is actually a current account which comes together with cheque book and ATM card. The best thing is you no need to find introducer and you just walk in to any branch of CIMB Bank and get your account up only. Few weeks ago, I applied CIMB Bank Direct Access MasterCard to enjoy the amazing credit card rewards. I like the concept of “Rebate“. I always try to find good rebates and promotion which can save me a lot of money for all my daily expenses and this kind of card can do for me. It’s not only offers you no Annual Fees and it’s Free for Life. Direct Access rewards you 5% rebate at grocery shop such as Guardian, Cold Storage, Sunshine, Giant, Tesco and etc on every weekend from 1 Oct to 31 Dec 2010. Please do not worry about the promotion period as it may extend from time to time. Just for your additional information, the previous promotion was 1 July – 31 Sept 2010. Besides that, you also can enjoy 10% rebate if you dining at KFC, Burger King, Starbucks Coffee every Saturday and Sunday. Plus, you can also enjoy the rewards of 10% discount off your total bill everyday throughout the year at Burger King and Starbucks Coffee. For those who interested to apply a credit card then Standard Chartered credit card will be your right choice at this moment. Both Standard Chartered Platinum & Gold Credit Cards offers 0.5% cash back on every transaction excluded petrol. There’s no minimum charge required, no limit on cash back given and the more you use your card, the more cash back you gain. Besides that, it’s also comes with point rewards in which RM 1 = 1 point, so basically it is a 2 in 1 card. It comes with 2 years annual fees waiver, 3rd year onwards normally you can call for waiver. 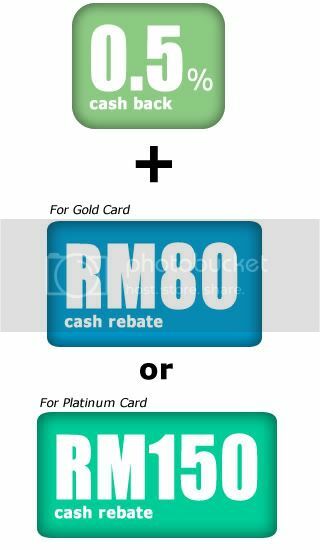 Activate the card and spend once for any amount within 30 days and enjoy the cash rebate RM80.00 for Gold Card approved and RM150.00 for Platinum Card Approved. Based on my credit card agent information, the cash rebate will be credited into the following month bill statement. So, hurry up and grab this golden opportunity! This promotion is valid until 31st Aug 2010 so try to submit your credit card application before as soon as possible.